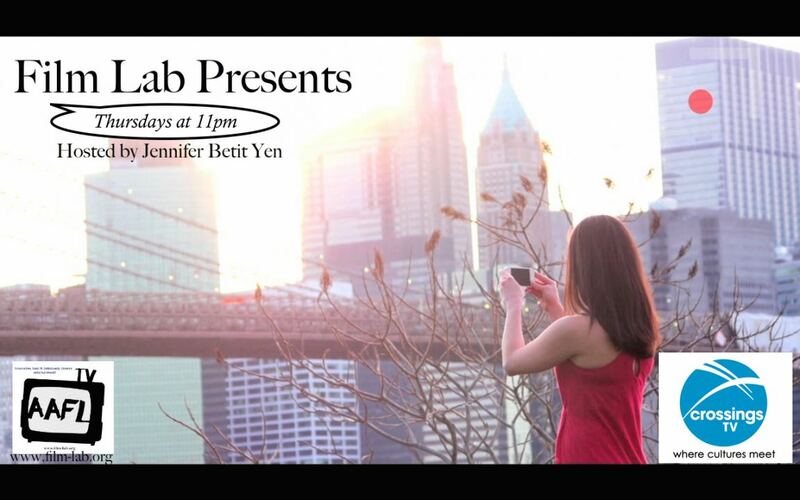 NEW YORK - April 1, 2015 - PRLog -- Film Lab Presents, a television series medley of bold, innovative and diverse American stories hosted by Jennifer Betit Yen and produced by the Asian American Film Lab (“Film Lab”) returns to Crossings TV this spring in two different series. On April 17 and 24, Crossings TV will air a special Film Lab Presents the 72 Hour Shootout and, beginning May 1, Film Lab Presents a special Asian Pacific Heritage Month special series of Film Lab’s innovative, fun, new entertainment in Central Valley, Chicago, San Francisco, and Seattle, as well as in New York/New Jersey. Founded in 2005, Crossings TV is a multicultural national TV network, whose mission is to be the premier provider of in-language and in-culture Asian entertainment and information (international, national & local) through multiple platforms. In so doing, Crossings TV’s foremost goal is to provide locally-oriented, produced and marketed programming and content. Working with key, local representatives in each of the markets it serves, Crossings TV is a unique, grassroots intermediary, efficiently linking its targeted audiences and commercial, non-commercial and governmental entities. The Asian American Film Lab is a 501(c)(3) not-for-profit organization which began working to promote diversity in media in 1998. The Asian American Film Lab’s president, Jennifer Betit Yen, founded AAFL TV in August 2013 to address an explosion of interest in diverse, original creative content along with a corresponding rising level of dissatisfaction with mainstream programming for a lack of diversity and/or perpetuation of racial stereotypes. AAFL TV’s mission is to provide innovative, contemporary, original content by, for and about diverse Americans - content that accurately reflects our heterogeneous country both in front of and behind the camera. One of the ideas behind inviting submissions from all over the globe is to empower creatives by providing a platform for diverse filmmakers to present unique and independent content and to be part of something bigger, showing the world that diverse talent is not only present, but powerful, with a voice and a stage on which to see and hear it. AAFL TV launched its first pilots as web series in September 2013. The resulting television series, “Film Lab Presents” began airing on NYCMedia, New York City’s flagship media station, in January 2014 and continued for three seasons. CrossingsTV began offering Film Lab Presents to its viewers in September 2014. AAFL TV is also available online on the Film Lab’s website (www.asianamericanfilmlab.com and www.YouTube.com/asamfilmlab). The Film Lab is run under the direction of President Jennifer Betit Yen. Board members include Edwin Wong, Aaron Woolfolk, Perry Tsao, James Kyson, and Daryl King. Management includes Youn Jung Kim, Nick Sakai and Lorna Nowve. The Film Lab’s other programming includes filmmaking workshops with industry professionals, screenwriting contests, and film competitions, including the annual 72 Hour Film Shootout (the “Shootout”). This annual competition, now in its eleventh year, has inspired hundreds of filmmakers by helping nascent talent take brave steps towards a filmmaking career. 2015 marks the 11th year Asian CineVision will partner with FilmLab to promote the Shootout at the 38th annual Asian American International Film Festival (“AAIFF”). AAIFF is New York’s leading festival for independent Asian and Asian American film and video, and the first and longest-running U.S. festival of its kind. It will be the first time the winning Shootout films will screen at film festivals in both New York City and Los Angeles and at the New York Indian Film Festival in Manhattan. : Asian American Film Lab Inc.